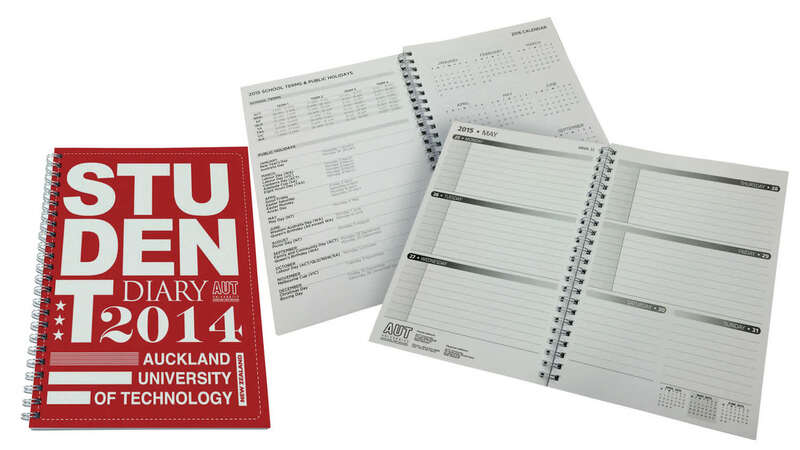 A4 size diary with a printed cover of 310 gsm with a laminated artboard cover on both sides. Contains 54 leaves which is 108 pages, with a Week to View layout. The binding is Wire bound. 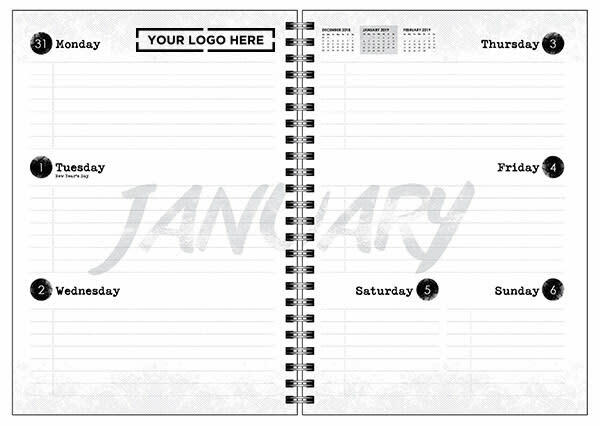 There are lots of other sizes, layouts and cover types to choose so ask us now. 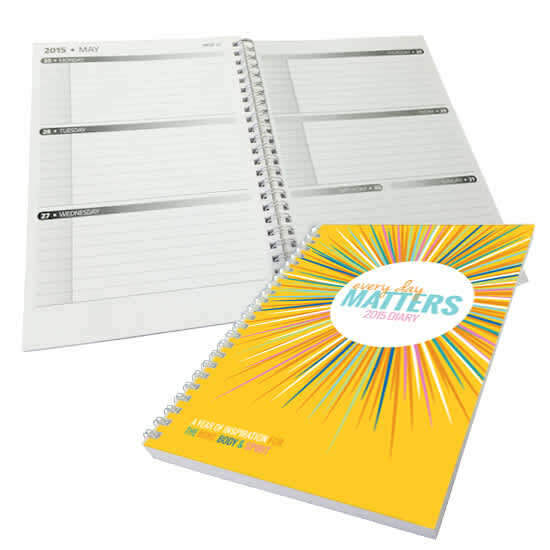 Great for use with schools and colleges. 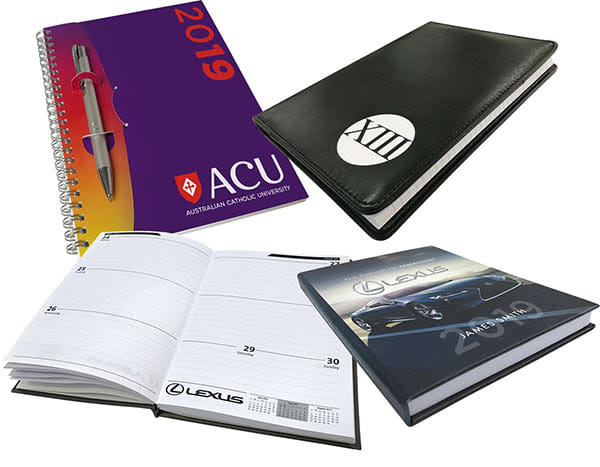 Cover types are Soft Cover, Hard Cover, Bonded Leather or Polyurethane. Also Perfect Bound binding too!